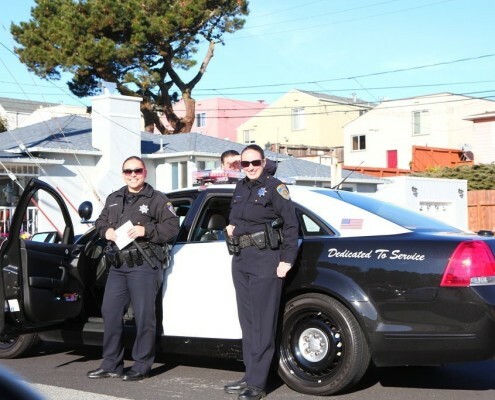 The mission of the Broadmoor Police Protection district is to serve our community with 24 hour a day police services. 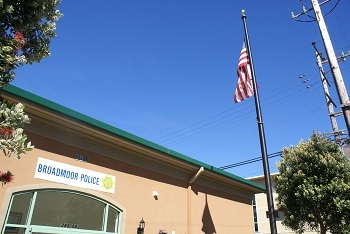 In 1948 the residents of the unincorporated hamlet of Broadmoor, which then was larger than the City of Daly City and extended from about Westlake to South San Francisco, was comprised mostly of farm lands, came together and formed their own police department as a police protection district because services from the San Mateo County Sheriff were not sufficient to meet the needs of the residents. In particular, the Sheriff’s Office was located in Redwood City, where it is still located, some 20 miles south of Broadmoor. 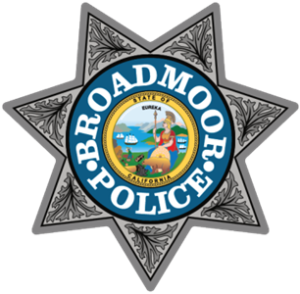 The unincorporated town of Broadmoor boasts the only active police protection district remaining in the State of California. The governing body of the Broadmoor Police Protection District is a Police Commission of three residents elected at large by the voters of the district. Each commissioner is elected to a term of four years. The presiding officer of the Police Commission is the chairman and is selected annually by a vote of the sitting commissioners. The three commissioners serve without compensation. The Police Commission selects and appoints only the Chief of Police. The Chief of Police is responsible for hiring all employees of the police department. The Chief of Police also serves as the District Manager. The Police Commission also sets policy, determines and sets the annual budget, and hears appeals in certain personnel matters. The police commissioners and the employees of the police department proudly serve the residents of the Broadmoor community. Our doors are always open to our residents and neighbors.